Through her public speaking workshops Andreea is on a mission of empowering others ‘’to find their success voice’’. With each workshop and speaking engagement she aims to shed light on the illusion of fear of public speaking. She enables participants to develop a voice that influences, inspires and impact an audience. She teaches one well kept secret that they don’t teach you in school. Which is that, the future of your career depends on your ability to communicate your ideas with clarity and authority, and your aptitude to engender trust. All depend on the quality of your voice. 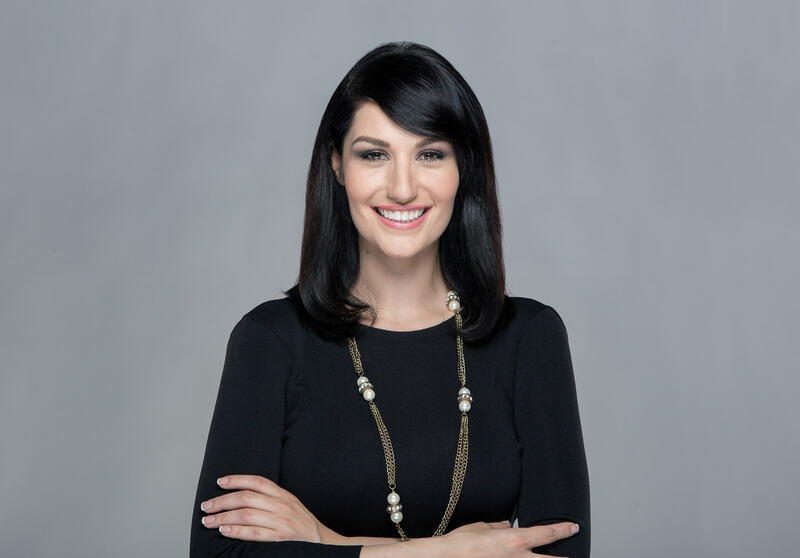 Andreea is a self made speaker and presenter with a compelling and unique journey that positions her amongst the most authentic leaders in her industry. She specializes in the fields of public speaking, TV presenting and speech coaching. In 2015 she had attained her coaching certification from the American international training company Mind Bridge as well she counts amongst her mentors, London’s Film and Academy tutor Peter Purves, Los Angeles based TV presenter Steve Truitt and Romanian celebrity coach Mihaela Tatu. Andreea is now a walking, talking stand for artistic communication, public speaking, and MC-ing. Her profile is widely viewed by various agencies and individuals and her coaching work has reached TEDx speakers, artists, business executives, and impactful entrepreneurs. Andreea’s approach is significantly different from what the market has seen. As much as the traditional public speaking coaching and training style has focused on vocal tonality and body language, her approach takes it to a whole new level. Andreea focuses on the person as a whole; from head to toe. Suited with the technologies of successful presenting and the unwavering confidence in herself to deliver results, she uses an “inside-out” transformational style of coaching that is uncommon, but deeply impactful on the person. Her workshops fill up with professionals eager to unlock their voices of success and utilize them in their careers, businesses, and lives.